Dr. Frank Baiden graduated from the University of Ghana Medical School in 1998. He undertook postgraduate training at the Institute of Tropical Medicine in Antwerp and the London School of Hygiene and Tropical Medicine where he obtained a Doctor of Philosophy degree in Epidemiology and Infectious Diseases in 2012. He holds a certificate in research ethics from the Harvard School of Public Health. Dr. Baiden is a WHO-trained clinical trialist and has consulted for various international health agencies. Between 2005 and 2008, he was Technical Officer at the World Health Organisation. He is currently head of Epidemiology at the Ensign College of Public Health. He is also an adjunct senior lecturer at the Mailman School of Public Health at Columbia University. His area of speciality is malaria and other infectious tropical diseases. His work in malaria has included consultancies for major international organisations including WHO, PATH and FIND. In 2011, he was awarded the World Bank Robert S. McNamara Fellowship for his work on incorporating test-based management of malaria within the Integrated Management of Childhood Illnesses (IMCI). He is currently head of epidemiology at the Ensign College of Public Health. 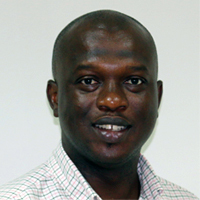 He is also a member of the Ethics Research Committee of the Ghana Health Service and the Editorial Board, BMC Health Services Research. He has published extensively on various issues in infectious disease and global health. Dr. Bernhards Ogutu Ragama graduated from the University of Nairobi in 1991 with MBChB and pursued a residency in Paediatrics at Kenyatta National Hospital, Nairobi cumulating in a Masters in Medicine (Paediatrics) in 1998. He furthered this with a PhD in Clinical Pharmacology in 2002 under a WHO/TDR scholarship. He is a senior Clinical Trialist with INDEPTH-Network Dr. Ogutu has keen interest in malaria diagnosis as an endpoint to malaria trials evidenced by his wide experience in malaria research especially clinical pharmacology and clinical trials at Kenya Medical Research Institute (KEMRI). He is a member of the Expert Committee on Clinical Trials of the Pharmacy and Poisons board, the regulatory authority of the Kenyan Ministry of Health. 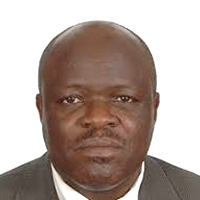 He is also an Association of the Clinical Research Professionals (ACRP) certified Physician Investigator (CPI) and is the founding president of the East African Chapter of the ACRP. Dr Samuel Blay Nguah obtained his MB. ChB from School Of Medical Sciences, Kwame Nkrumah University of Science And Technology, Kumasi-Ghana in 2000 and moved on to attained the status of Member of the West African College of Physicians (Paediatrics) in 2005 and then Fellow of the West African College of Physicians (Paediatrics) in 2009. He is currently pursuing an MSc in Medical Statistics from the University of Newcastle, Australia. 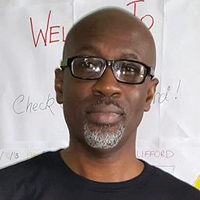 Dr Nguah is a Consultant Paediatrician, the head of the Paediatric Cardiac Unit since 2009, and the Lead Clinician of the Directorate of Child Health of Komfo Anokye Teaching Hospital since 2011. He is also a Lecturer in the Department of Child Health of the School of Medical Sciences- Kwame Nkrumah University Of Science And Technology (SMS-KNUST). He also fuels his passion for statistics by engaging as an Online Biostatistics Tutor for Basic R for Epidemiology, Regression Analysis and Advanced Epidemiological Methods which is Supported by WHO-TDR and Organised by the Epidemiology Unit, Faculty Of Medicine, Prince Of Songkla University, Thailand since 2008. 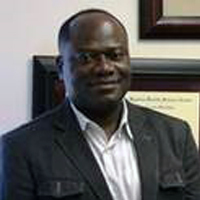 Prof Evans Afriyie-Gyawu obtained in Masters in Public Health from the Master of Public Health (Epidemiology/Biostatistics) Texas A&M University Systems Health Science Centre School of Rural Public Health in 2000 and went on to pursue a PhD in Toxicology from Texas A&M University, in 2004. He is currently an Associate Professor, Environmental Health Sciences and a STEM Fellow, Jiann-Ping Hsu College of Public Health, Georgia Southern University, USA. He is the Director of the Study Abroad in Ghana program of the Jiann-Ping Hsu College of Public Health which aimed at enhancing experiential learning in public and environmental health.